Some of us were not sure if the workshop would run as scheduled. There was a Karnataka bandh (strike) proposed on July 28th. Later, it was restricted to North Karnataka. We went ahead with the workshop. Some of them were happy with the format of the workshop where I tried to explain a concept followed by an exercise to the participants. Some of them did not like the break in flow. It is hard to please everyone. Also, to note that it is indeed very hard to conduct a hands-on workshop and also explain many concepts in the same day. While one participant complained that I came late to the workshop, I am sorry for it. I came 30 mins early to the time mentioned to me. I was unaware that the workshop was supposed to start 30 mins earlier than I arrived. I will ensure that this doesn't repeat. We talked about Modelling, Mind Maps, Bug hunting, Test Ideas, Heuristics, Bug Investigation, Test Reports and Tools. I hope the workshop was useful to most of the audience as evident by the positive feedback I received from the feedback sheets. 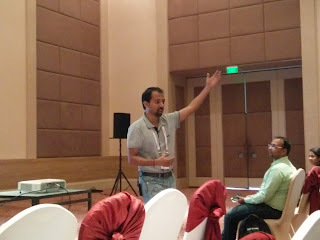 I learned from Rahul Verma on how to collect feedback- just give the participants a blank sheet and ask for feedback. 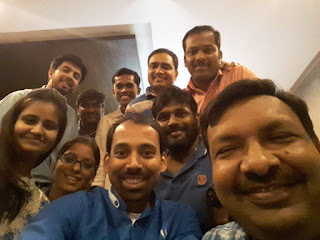 Soon after the workshop at Bangalore, I flew to Hyderabad. The flight was delayed and I reached my hotel at 3am. I did not want to be late this time and was in the meeting room by sharp 9pm. This workshop, I wanted to try a different approach. Half day explanation, half day hands-on exercises. Immediately after the workshop, I reached Bangalore at night. The next morning, I was off for a trip with my wife till Aug 2nd. 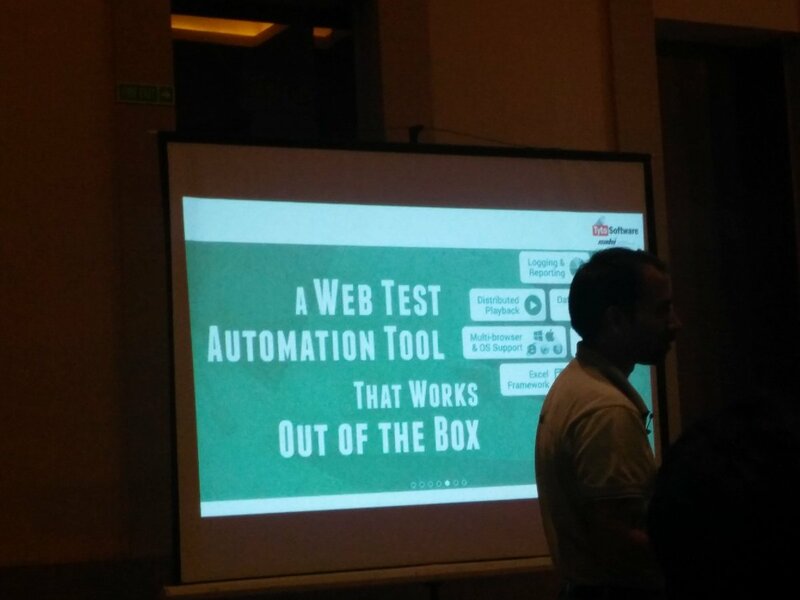 For the first time, I participated in a Test Automation contest. 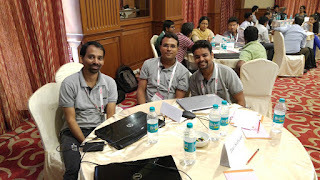 Our team from Sahi Pro had the experienced Kshitij Gupta and the ever enthusiastic Pratik Shah. 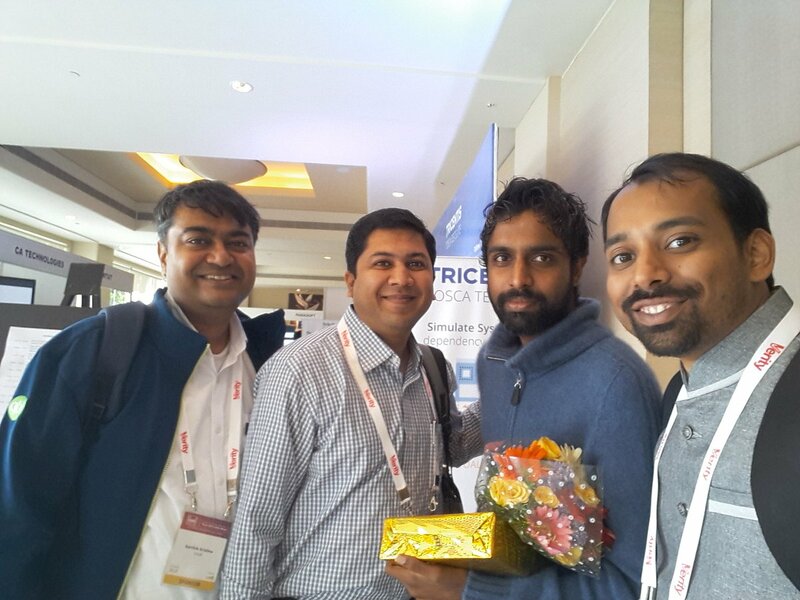 We saw at least five of our customers also participating in the contest and they were using Sahi Pro. The only question we had in our mind was: What if they won and we did not win? 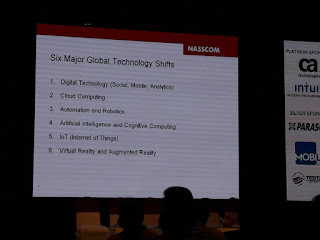 What will we say to our CTO? After some time, we were ready with the answer: "Even in a lookalike competition for Charlie Chaplin, the original Charlie Chaplin came third :) "
First round seemed easy till ten mins to the end of the round where we almost messed up the code and started to panic. Good sense prevailed and we troubleshooted and resolved just in time. Results were announced and we were through to the second round. Only 8 teams out of 32 teams qualified for the second round. In the second round, we had to present our case and be ready for the Q & A. When we connected our laptop, the HDMI port was not recognized and we presented 7th instead of allotted 3rd. 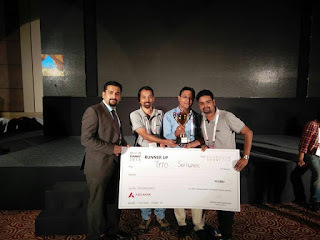 The judges seemed to like our approach and how we used the full capability of Sahi Pro. We were happy with our efforts. Welcome Address: Vivek Mathur kicked off the proceedings with a short speech on what to expect and how to get the most of the conference. It was crisp and noteworthy. 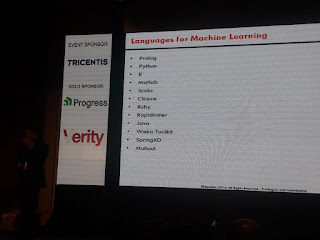 As a software tester, I had a thought: How many of us know something about all of these? Isn't it necessary to know at least something which will help us in a conversation about these topics? 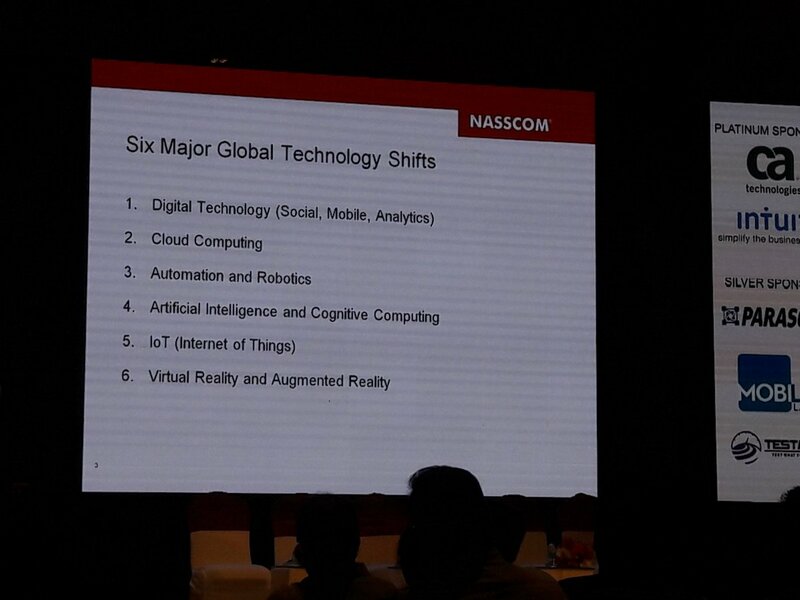 And no wonder that we heard most of the talks on these lines - IoT, Machine Learning, Automation, Digital, Cloud Computing. 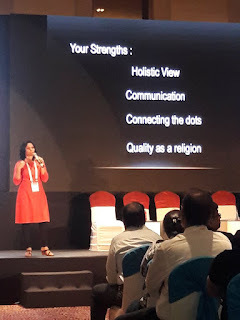 Next Keynote Address was on Quality Engineer – Leveraging Your Potential/Profession in Digital world by Rashma Samani. This keynote was also very useful. She shared her experience of testing SetTop Boxes and how testing is part of her life now. She asked us to get rid of few obsessions and also highlight our strengths. 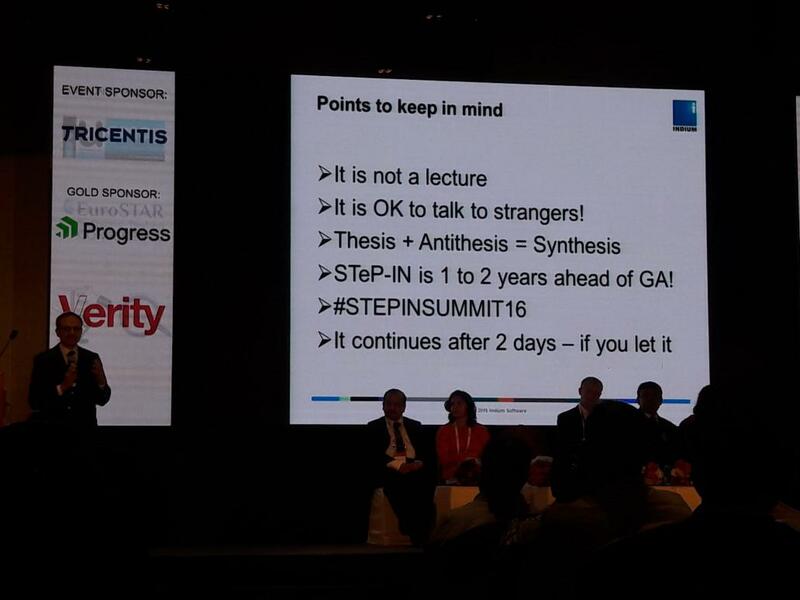 Next, Dr.Nandakumar Ramakrishnan honored each of the STeP-IN Tech Committee members. My part was reviewing the papers allocated to me and provide comments. Thanks STeP-IN for honoring us. 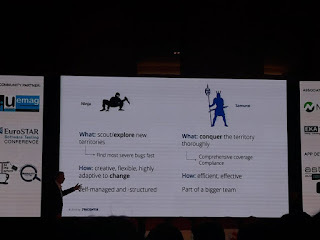 The next talk was: "Ninja or Samurai? 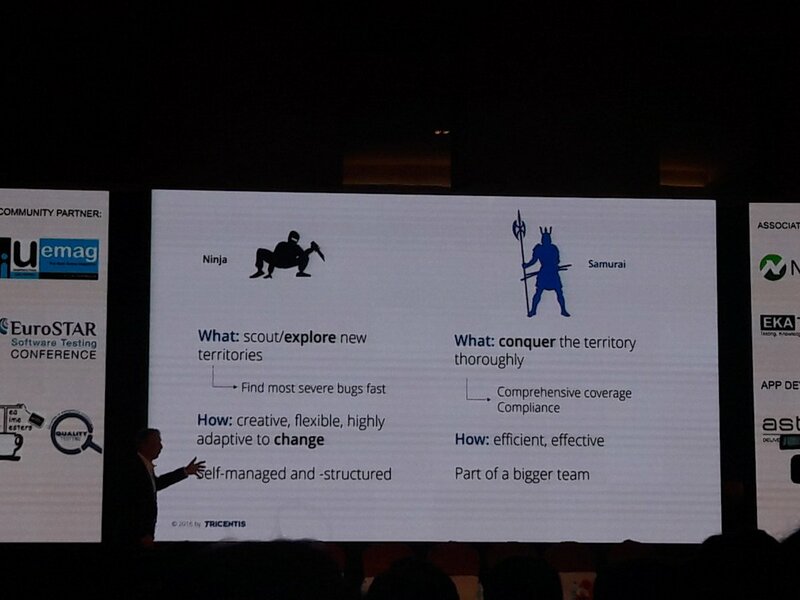 The Art of War and the Future of Testing" by Wolfgang Platz. Though his claim of how exploratory testing cannot provide a comprehensive risk coverage was something I questioned, we could not come to the same point of view within the 5 minutes of Q & A time. 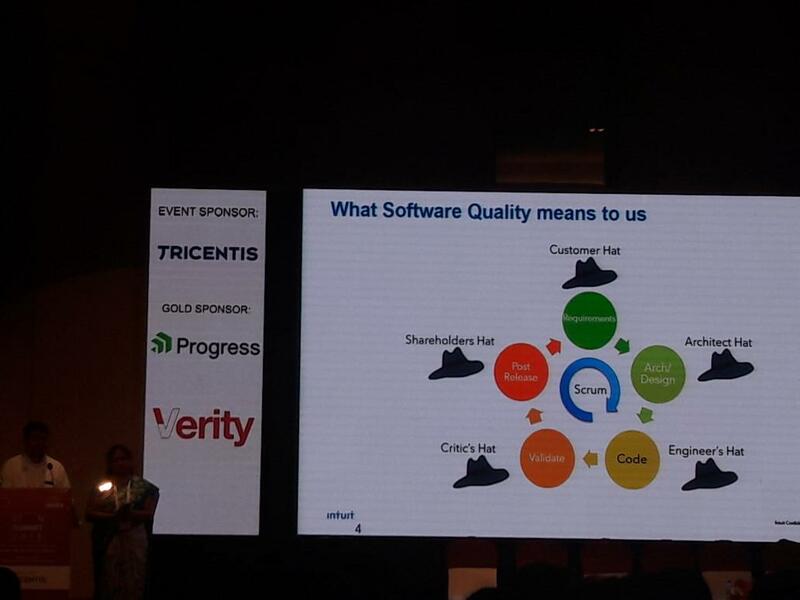 Then, the folks from Intuit shared their journey of how they transformed and inducted Quality in the organization through their talk: "Transformation Journey of Quality Engineering at Intuit". 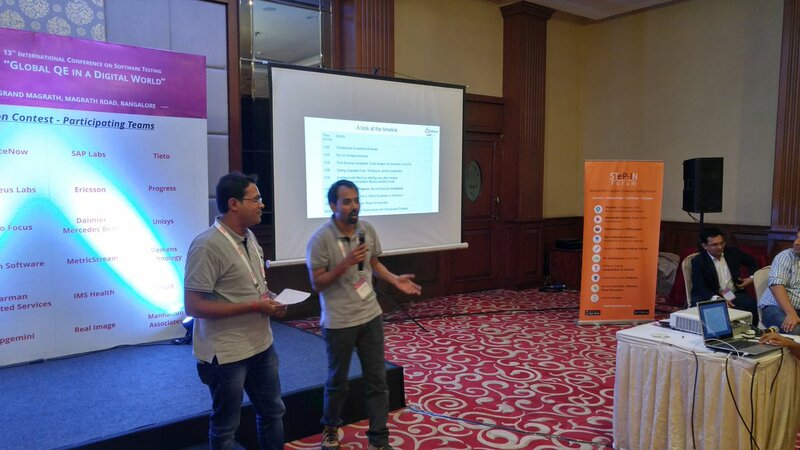 Karthik Krishna and Anandhavalli Krishnaswamy were the presenters. 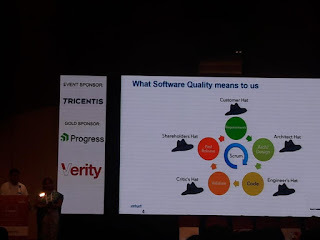 They highlighted how the testers at Intuit wear different hats at different stages of the product cycle. They also talked about they focused on the skills of the testers, how they helped the testers improve before expecting magic from the testers. Later, I attended the session by Santhosh Tuppad. 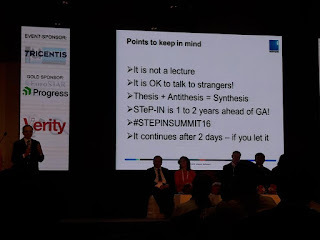 He engaged the audience pretty well and shared his experiences of how he hacked many systems. 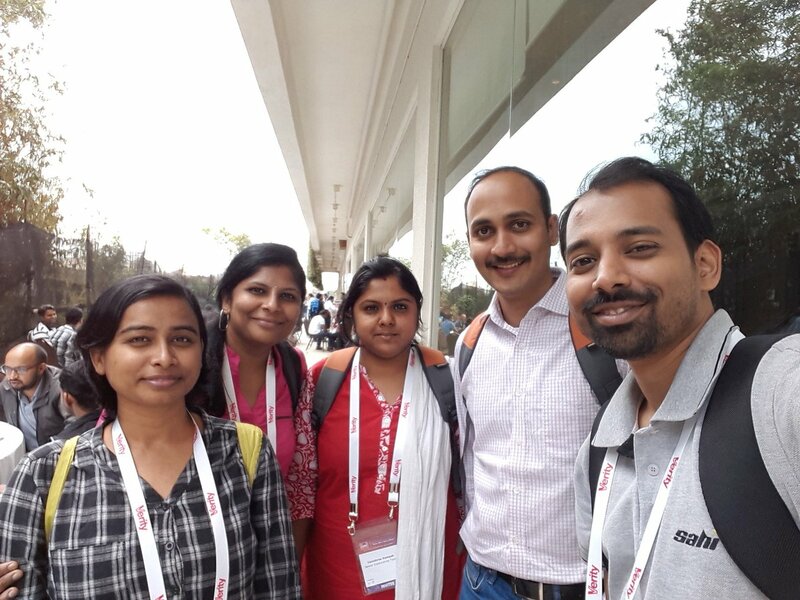 He recommended OWASP, browser addons and learning about different tools. He asked us to focus on the mindset first before jumping into security. Meanwhile, I also met Nikhil Bhandari, Parimala (@curioustester) and other friends once again! I was a bit tired after non-stop traveling for the last week. So, I went back home. 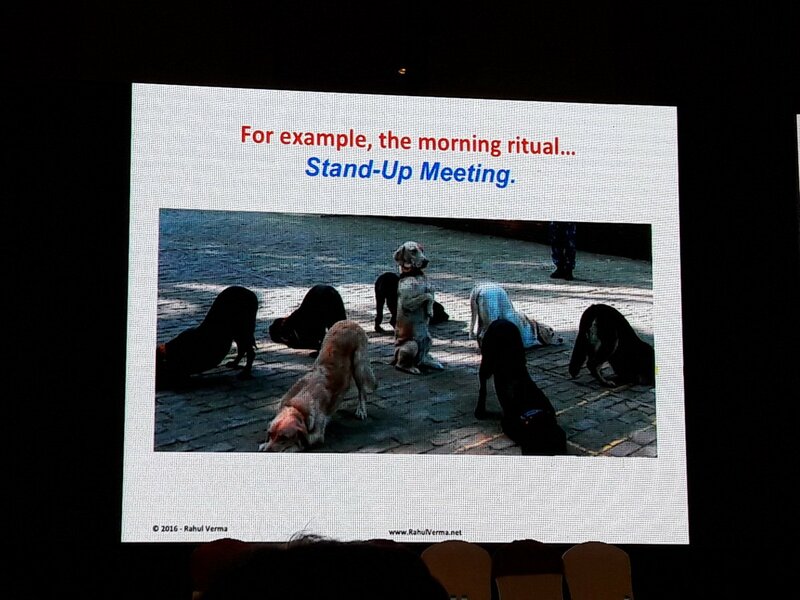 I also had to prepare for my talk the next day. At night, 9.30pm I started my preparations for the talk after conducting a webinar on Sahi Pro. You can also register for the webinar here: www.sahipro.com/webinar By 1am, I had my presentation slides ready. 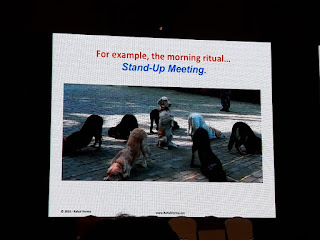 I arrived straight into Rahul Verma's keynote: The Dogmatic Agile – ‘A Critique of Deliberate Blindness of Indian Wannabe Agilists’ and it was really thought provoking. - Do not follow any process blindly. - Do not focus on just the extremes. Understand that the solution might lie in between the extremes. 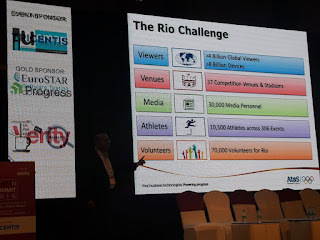 Next tutorial was by Brijesh Prabhakar: Testing in the Extremes – an Olympics story! 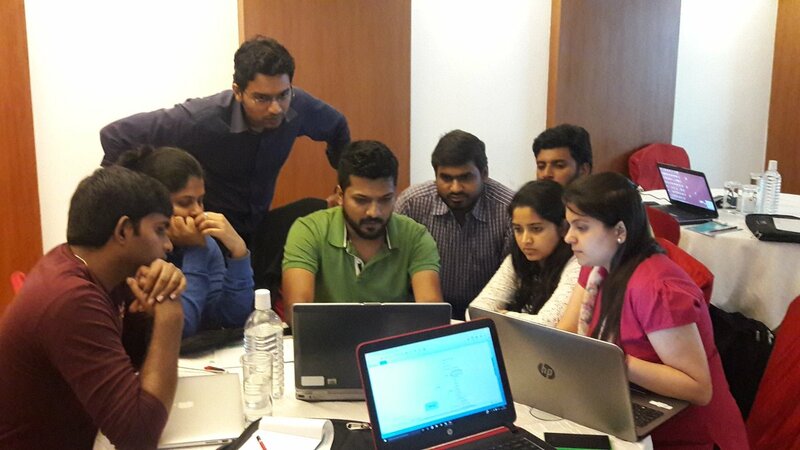 This was an interesting tutorial in terms of how the team tested the application and systems with just 500 testers and 9000 test cases. It was surprising to know that the preparations start the day the previous Olympics ends. And they don't use any fancy models or tools. You had to be present at the tutorial to experience it. I did not understand much from the VMware presentation. I blame it on my lack of knowledge and not on the presenters. It was time for my talk. My talk was titled: "Automation in Testing — A session of Confessions, Introspection and Secrets". 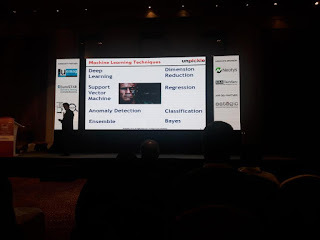 Next session was on "Machine Learning in Software Testing" by Milind Kelkar. 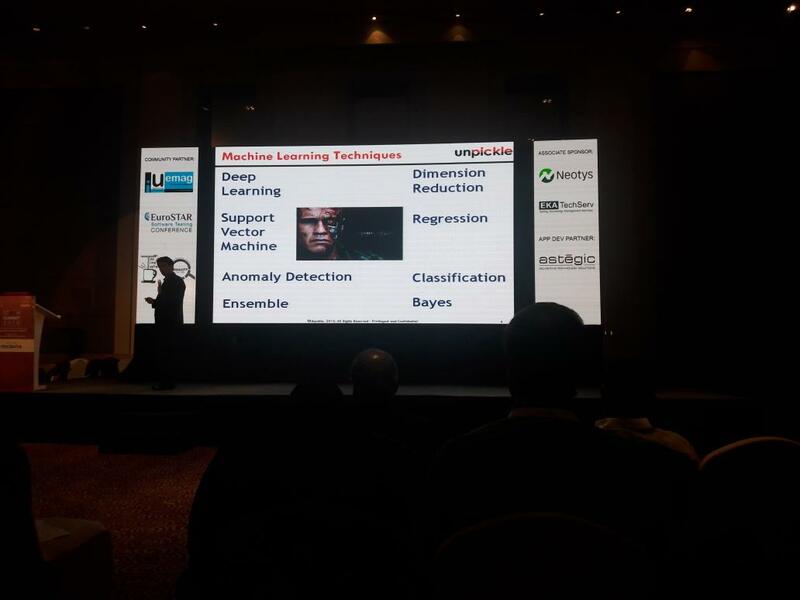 He talked about the different Machine Learning Techniques and how they are applied along with the different use cases. 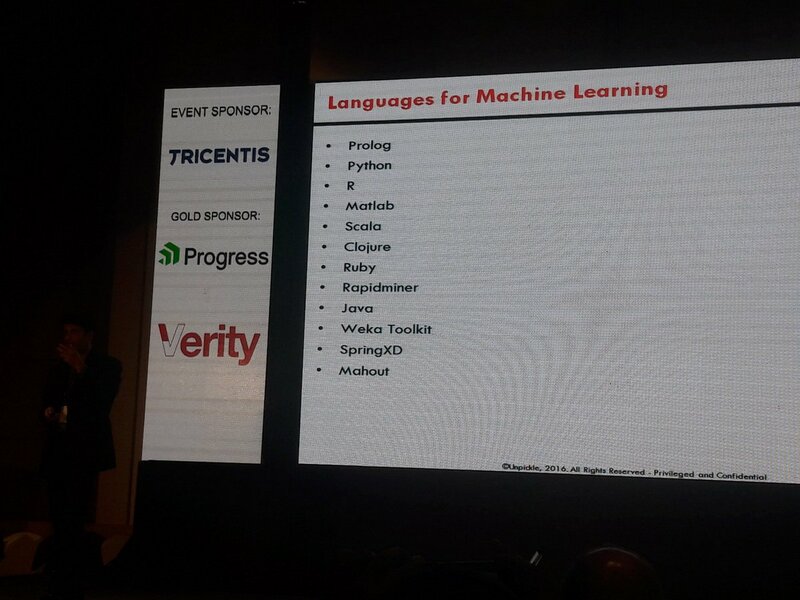 When I asked him on how to get started with Machine Learning, he showed the following slide with Languages for Machine Learning. He referenced Coursera course and Andrew Ng. The next course starts Aug 8. So, enroll soon if you wish to learn more about it. That was end of day 2. I skipped the last session to talk to Shrini and Rahul.